Argentine Polo Field specialist Alejandro Battro brings his expertise to the Empire Polo Club. Polo veterans will tell you that the horse is 80% of the game, and that the safety of the horse is paramount to the age-old game, but equally important is the field on which they play. A properly designed and maintained polo field can insure the safety of the horses, the roll of the ball and the lifespan of the playing surfaces themselves. 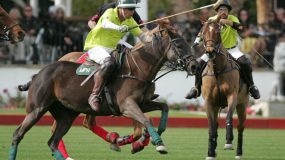 Argentina’s Alejandro Battro is considered to be the maestro of polo fields. With over 35 years of experience behind Battro Polo Fields, and an international resume that lists over 700 fields from China to England, from Morocco to the United States and featuring the revered polo fields at Palermo in Argentina, Battro is looked upon as the dean of the fields. Earlier this year, the Empire Polo club brought him in to review their fields and prescribe a maintenance program for them. In a March vsit, Alejandro Battro, Jr. and an associate reviewed the condition f the fields at Empire and implemented an ongoing maintenance plan. Alejandro Battro, Jr. was in Indio in March to do an initial assessment on the fields and make recommendations on the upkeep and maintenance. Ignacio Martinez, a member of the Battro team returned this week to monitor the current condition of the field as the winter season gets underway. 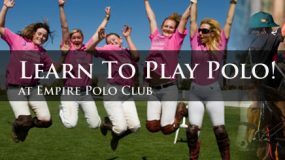 The Empire Polo Club boasts ten fields, and has action beginning in November with stick-and-ball sessions going on as players and horses prepare themselves for the upcoming months of tournament play. Battro assessed the composure of the footing on each of the club fields. The Bermuda fields at Empire are over-seeded with Rye as the more tropical Bermuda grass goes dormant during the winter months. “We get a lot of play on the fields over the course of a laying season,” said Owens. “Last year we logged in 1,275 chukkers on the fields, so the maintenance and upkeep of them is a daily challenge. 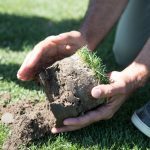 The most important aspects of the field, according to Battro, are the surface and choosing the right type of grass. The arrival of Martinez this week will insure for world-class fields for each and every chukker of the coming season. 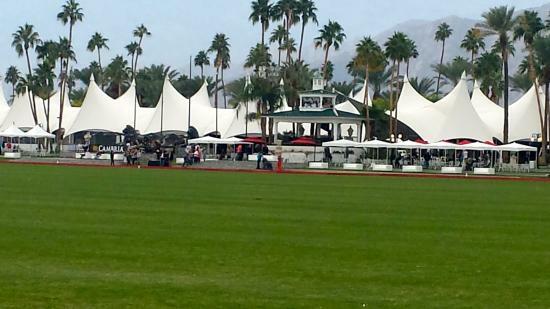 The Empire Polo Club is located at 81-800 Avenue 51 in Indio, CA. For further information go to the club website at http://www.empirepolo.com or call 760-342-7755.